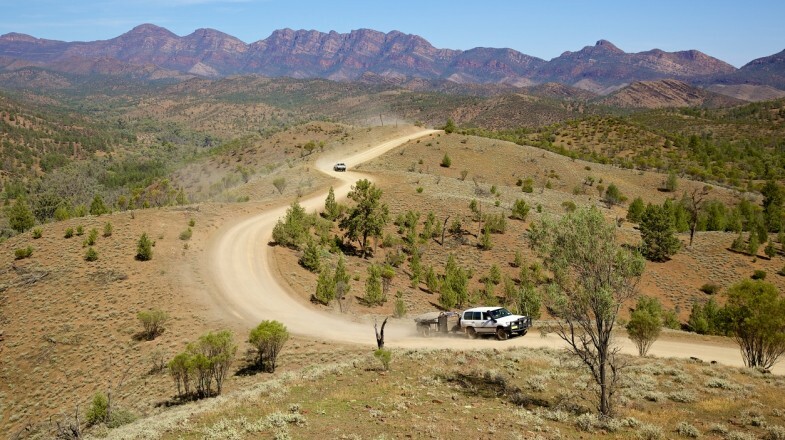 Exploring the Flinders Ranges is a great way to discover the Australian Outback. Located in the Outback in South Australia, Flinders Ranges is undisputedly the best place in Australia to catch the thrill of stunning landscapes mixed with an exotic breed of wildlife and deeply rooted Aboriginal culture. Flinders Ranges is one of the largest mountain range as far as Southern Australia is concerned, with its rugged and weathered peaks stretching from about 200km north of Adelaide down to over 430km from Port Pirie to Lake Callabonna. The over 600 million years old landscapes at Flinders Ranges will have you travelling back in time. With fascinating hotspots like the Wilpena Pound and Arkaroola, Flinders Ranges never disappoints with its ever-captivating scenic views. Location: Outback, Southern Australia. 430km North of Adelaide. Best time to visit: Spring (August - November) is definitely the best time to visit Flinders Ranges. During this time the Outback looks spectacular with healthy colors of orange, yellow and bright red with lots of wildflowers littered around and migratory birds appearing on the mountains - making it look like the paradise it is. The temperature during the day averages at 20–25 C, although the evening temperature could be colder during the beginning of the season, so proper dressing would be required. Main attractions: Flinders Ranges National Park, Mt Remarkable National Park, Steamtown Heritage Rail Centre, Kanyaka, Arkaroo Rock, Jacka’s Brewery, Arkaroola Wilderness Sanctuary, Vulkathunha-Gammon Ranges National Park. Adventure through a landscape older than 600 million years old and filled with incredible aboriginal art. Learn more about the pastoral history at Wilpena Pound station. Spot the unique and rare yellow-footed wallaby rock and other rare native birds located in the Arkaroola sanctuary. Listen to first-hand lessons about aboriginal art from traditional custodians and indulge in some native dishes. Travel through a whole new world hidden inside stone basins, opals, fossils, barren lands and rocky hills. Follow the Oondnatta tracks to unveil the enchanting Lake Eyre. Feel the adrenaline on four-wheel drives through the sharp-edged Mawson tracks. The ridge top tour at Arkaroola might be tiresome for most people as it takes over four hours to travel through the spine of the mountains. It is fairly easy to get overwhelmed at the vast mountains of Flinders Ranges; however with proper planning you should make the most out of your time here. Take a scenic flight and witness in awe at the natural amphitheater. Wilpena is a major tourist hotspot at Flinders. Lots of fascinated souls gather yearly to gawp in awe of the bowl-ish 100km stretch of crater shadowed by humongous pile of rocks which were said to be as high as the Himalayas but diminished over time. To have a perfect view of the iconic shape of the Wilpena, you will need to get on a flight inside the pound at Wilpena Resort. There you can opt for various forms of accommodations like campgrounds and motels, there are also 4WD tours available, allowing you the freedom to walk around the pound and even climb over the rim - an exhilarating activity to be experienced by dedicated adventurers. Catch the sunset at any of the luxurious villas located at Rawnsley Park, located in the southern phase of the Wilpena Pound which dates back to 1851. 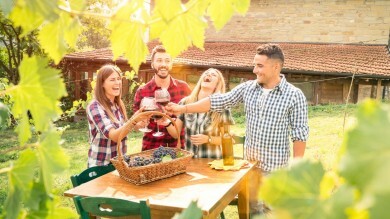 It is a functional farmland but still an amazing place to stay whether you decide to camp, stay in a cabin or kick it out at an eco-friendly luxury villa. 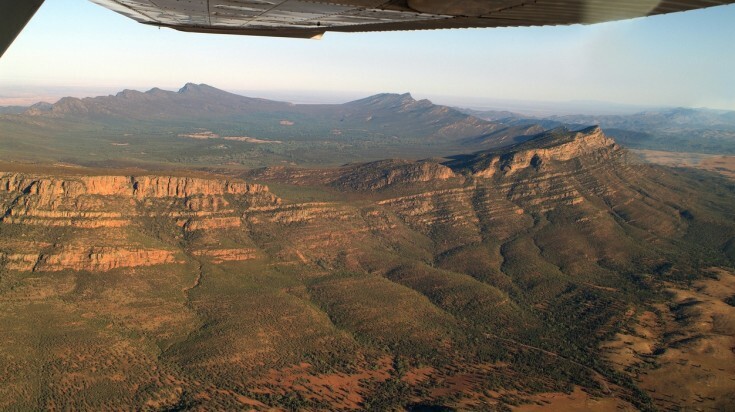 Take a scenic flight of Wilpena Pound in this tour and discover other destinations in South Australia. Travel through time on one of Australia's popular steam trains known as the "Pichi Richi railway." This beautiful and spectacular train is composed of timber carriages and includes a century old steam train with the nickname "The Coffee Pot" which is a favourite amongst tourists as it is said to be the last of its kind in the world. The train rides on the Coffee Pot follows the historic narrow gauge Ghan railway line which was built back in the 1870's, with its tracks running through stone walls, deep rock cuttings and astonishing iron bridges - a decent way to travel through history! Rides on the Coffee Pot depart from Port Augusta and Quorn. The Australian Outback is a great place for stargazing and Flinders Ranges is no exception. 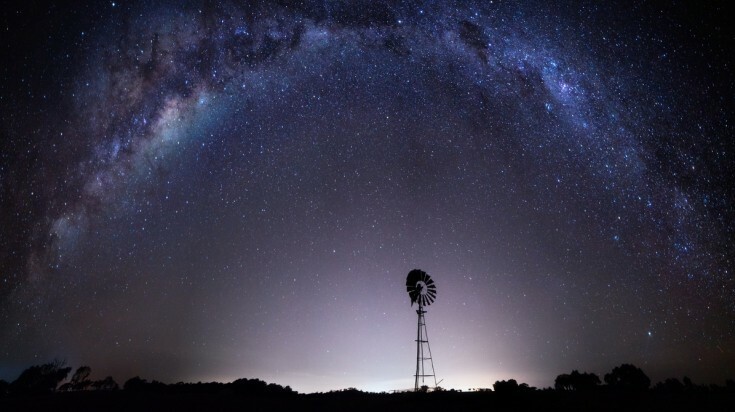 Stargazing can be done anywhere at Flinders Ranges however, if you want to enjoy a comfortable stargazing experience, then head out to Arkaba - a former sheep station located on the edge of Wilpena Pound which now serves as a private wildlife conservation area. Five-star accommodations are made available at the historical homestead bush camp where luxurious and traditional Australian sleeping bags are handed out to be constructed on raised timber decks thus giving you an uninterrupted and fascinating view of the mountains shadowed by the beautiful night sky. 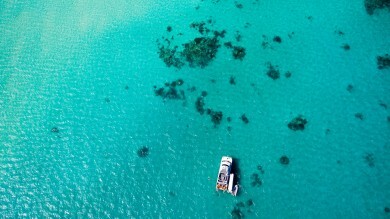 Explore the Australian Outback with this 14-day tour or this 6-day tour, starting from Flinders Ranges. You will have to make a quick stop at one of the most iconic hotels at Outback - the Prairie Hotel to indulge in some of the finest local meals like kangaroo grills, emu and even camel steaks. The Prairie Hotel is known for their unique menu, which is ever revolving and more creative than the previous - with a classic twist on native foods. The feral mixed grill consists of goat, camel, kangaroo and emu all mashed up and served as the hotel's signature dish. Arkaroo Rock plays a very culturally significant role, as it is a site that bears the roots of the Adnyamathanha people of Flinders Ranges, thus making it a perfect spot to hike through and discover historical masterpieces like the rock paintings which depict the "Yura Muda" AKA the creation story of Wilpena Pound. A hike through Arkaroo rock in the evening will have you enjoying calming and relaxing landscape views of Chace Range. Don’t forget to witness the sunset over the horizon - a beautiful and breath-taking experience! 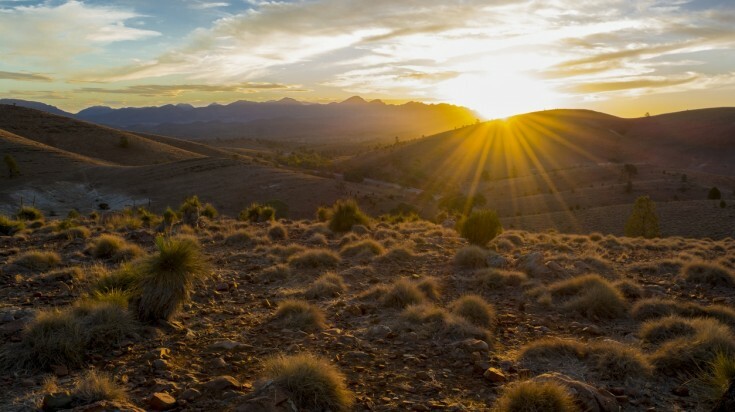 Catch sunsets at Flinders Ranges to witness the landscape changing colors. If you do not want to get overwhelmed by the unending activities at Flinders Ranges, you can take part in a guided hike tour. If you do decide to grab a meal at the popular Prairie Hotel, make sure you try out the quandong pie! It is basically a sumptuous pie made from native wild peach -tarty but tasty. A stargaze experience at Arkaba Station is a major highlight at Flinders Ranges; try not to miss out on it. There are hot showers available and meals prepared by a seasoned private chef. At the end of the day, it all comes down to what you want to do! Sure, hiking in Flinders Ranges is fun on its own, but combine it with visits to historical places like the Coffee Pot, Wilpena Pound and Arkaba train station, then you can truly feel what it is like to travel through time and relieve history!